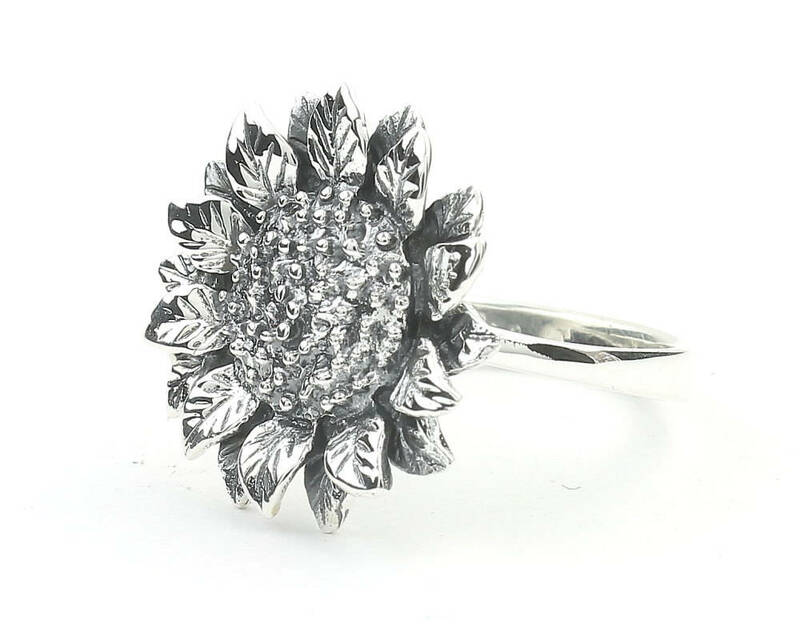 Beautifully detailed sterling silver sunflower ring. Patina finish accentuates the small details of the flower. Pairs beautifully with other silver and gemstone pieces. one of my absolute favorite rings! i wear it everyday and always get compliments on it. sunflowers are my favorite so as soon as i saw it i fell in love. will definitely keep buying from this shop! I'm so in love with my three rings! 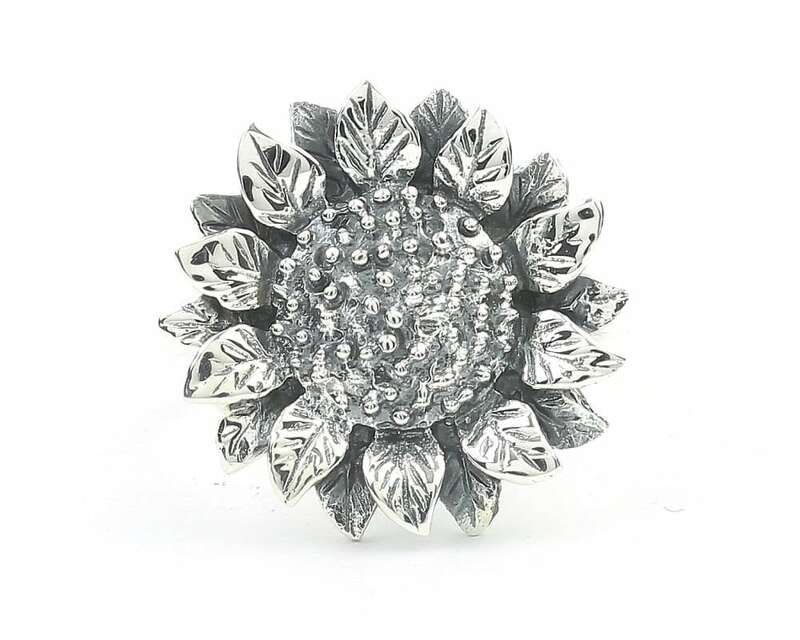 I had been wanting this sunflower ring for months and I was finally able to purchase it. It did not disappoint.